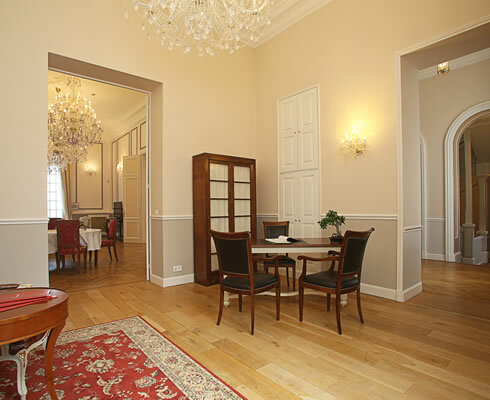 This noble, stone-built residence spread over 4 floors offers 2000 square meters of living space. 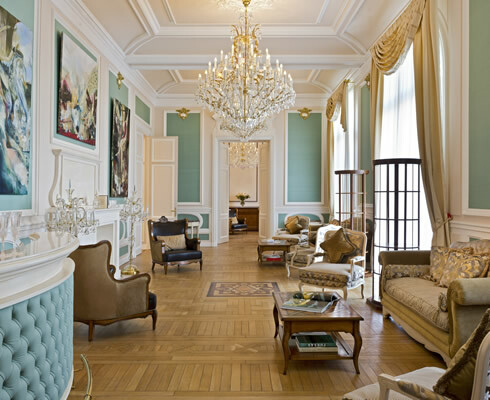 Crystal chandeliers, authentic wood paneling and fine fabrics accompany the latest technology. The refined interior decor is the work of Italian architects, Augusto Busnelli and Marco Allievi, who designed and created made-to-measure furnishings for the Château. 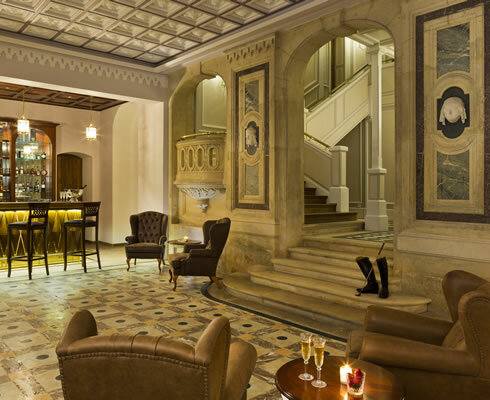 The Salon des Anges (70m2), with its elegant wooden bar and high ceilings, is the ideal setting to receive your guests. Next to this room, the Dandy Lounge (52m2) recalls the effervescence of the twenties and thirties: Chesterfield sofas, unfinished wooden furniture with industrial lines and avant-garde objects symbolize a modernist era ahead of its time. Noble materials lend formal beauty to this room and are highlighted with murals by painter Elisabeth Wela, adding a finishing touch to the room's modern ambience. With a Home theatre and stereo equipment, the Dandy lounge can be used as a games room or a lounge, depending on your wishes. Overlooking the golf course, the Grand Salon (64m2) allows full appreciation and enjoyment of the surrounding calm. This area is dedicated to relaxation and leisure. To the left of this room, the inviting dining room is known as the Salon du Baron (54m2) and provides a cosy corner for conversations next to a large fireplace. 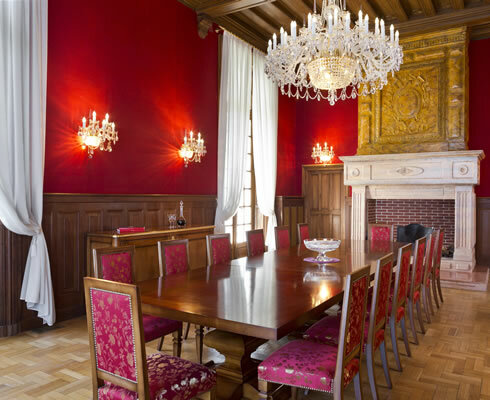 Facing it, the Salon de la Marquise (54m2) has a library that can be used for reading, study or an impromptu game of chess. From the terrace, you can enjoy a breathtaking view of the Montmorency Forest and the golf course. 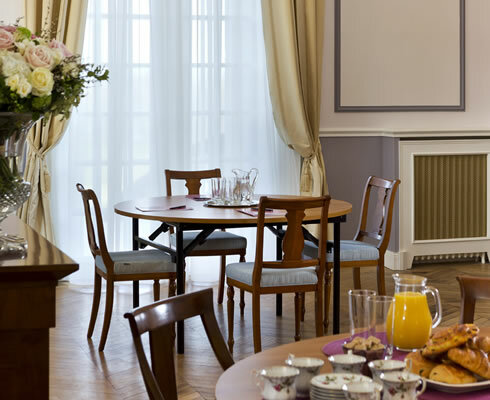 The Reception Hall (27m2) features a grand fireplace and offers your guests a warm welcome from the moment they arrive. The private kitchen (27m2) is a family favorite. It is equipped with stovetop burners, microwave oven, regular oven, double-door refrigerator, dishwasher, coffee maker, toaster, wine refrigerator, kettle and all necessary kitchen utensils.